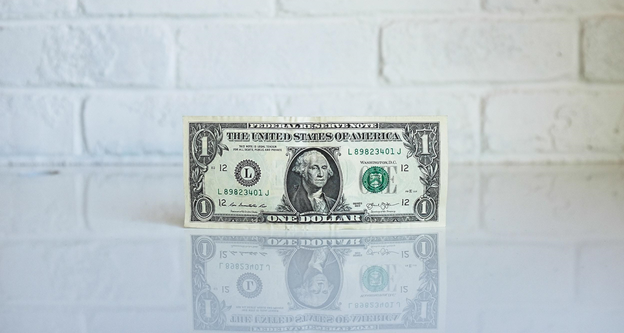 It’s long been said that money makes the world go ‘round, and although it may not be the single most important thing in life, it certainly makes the list. From working hard throughout college to climbing the ladder of success at your current job, you have likely spent years striving for financial stability. Have you considered what might happen if you became seriously ill and were no longer in a position to keep working? What about in the instance of a layoff, or when you hit your sixties and are ready to retire? If you haven’t given much thought to these circumstances, take heart. It’s not too late to get a jumpstart on the what-ifs, and we’ve got some important considerations that you should make when doing so. Lock down your fiscal health in both the present and the future, and you’ll be better prepared for whatever comes your way. One of the best ways to make sure you stay in control of your career is by taking a firm hold of your health, and health insurance play an important role in doing just that. Not only does this coverage mitigate costs should you find yourself injured or ill, but it can also make preventative care more affordable, which can help you avoid sickness in the first place. Health insurance is commonly found in full-time benefits packages at work, and can sometimes even offer bonus perks, like gym membership markdowns and 24-hour medical advice by phone. It’s all designed to keep you healthy and strong, which can keep you on top of your game. Your body is your wheelhouse, and it’s also your permanent residence, so don’t put your health on the back burner. Having a nest egg in your arsenal may seem like an obvious necessity, but it truly is the easiest and most fundamental way to secure your financial future. It can be as small as having a shoebox or coffee can in your home where you throw your spare change, or as involved as a high-interest savings account, but it is pivotal in gaining the fiscal armor you need to brave whatever the future holds. Stashing away some money each week can help to curb impulse spending and break bad money habits which, frankly, isn’t always the easiest thing to do. If you decide to go the bank route, keep your eye open for cash rewards that some financial institutions offer when you open up a new savings account. This may be a bonus for depositing a set amount of money, or for leaving your savings untouched for a specified length of time, spurring your economic growth almost effortlessly. Ask yourself this: if you were to lose your job tomorrow, how would you survive until you found another one? 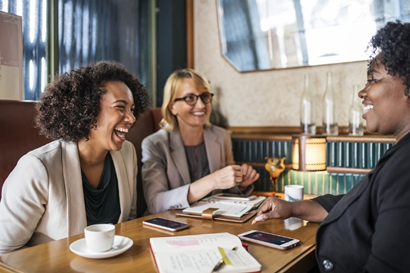 Although many Americans have embraced the paycheck-to-paycheck lifestyle due to poor circumstances, it is not indicative of financial wellness, as an economic downturn and high turnover can eliminate the concept of job security. One excellent way to combat this risk is by investing, and if the mere thought of this has your head spinning, you’ll be happy to know that it’s never been easier. Working with a financial advisor to start growing your wealth isn’t what it used to be. Gone are the days of confusing meetings where an advisor you’ve never met sells you on how to earn big. With the help of revolutionary tools and products, financial advisors have the resources available to thoroughly explain each concept to you until you understand where your money is going, how it will grow and why you should get started. No matter how well we scheme and strategize, there are always factors in our lives that are outside of our control, and an unavoidable health mishap falls right into this category. Be it a car crash, a tumble down the stairs, or a serious ailment like heart disease or cancer, you may not be able to predict what will happen tomorrow. What you can do is make sure you’re fully prepped for it with disability insurance. This type of coverage is designed to supplement a portion of your income if you’re no longer able to work, helping you to maintain your family’s lifestyle while concentrating on your health. The great news? This is a frequent perk offered by employers, so if you haven’t enrolled yet, it might be as easy as talking to HR. If you don’t have that option at your organization, you can purchase it directly through a broker, making preparedness fully accessible to you no matter your situation. In short, life insurance is a type of protection that is intended to cover your final expenses, as well as pay off debts and lend financial support to your family in the event of your death. If you’re of the mindset that life insurance is designed for someone much older than you, think again. The truth is that you’re never too young to get yourself signed up, and the earlier you enroll, the more time your benefits have to grow. Whether you opt for permanent or term, you can rest assured that your loved ones will have what they need when you pass, and won’t be burdened with unexpected debts. After putting in years of killer productivity, you may find yourself wanting to step down from your post and enter into the blissful relaxation of retirement. Many people view retirement as a delightful reprieve from the stress of the workforce but getting there is not as simple as just willing it into being. You need to prepare your fiscal strategy for the long-haul, and there’s no better way to do that then selecting a retirement plan. These programs allow you to invest some of your income into stocks, money market funds, and other types of securities that are positioned to grow in value over time. Once you hit retirement age, you draw from these funds to take the place of your regular paycheck, which gives you all the free time you desire without the irritation of financial distress. Unpredictability is the nature of life, and it’s sometimes difficult to see every bump in the road before you’re upon them. If the concept of financial security seems overwhelming to you, you’re in luck— Dayton & Sydney is in the business of analyzing your goals and breaking down your next steps for you in a way that is clear and concise. 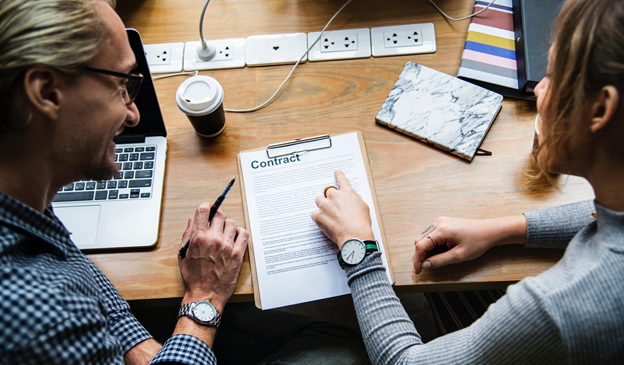 Whether it’s developing an investment strategy or deciding which types of insurance are worth your while, our experience can be very beneficial in your overall fiscal plan. Give us a call, let us do the legwork for you, and fearlessly let the future unfold before you. 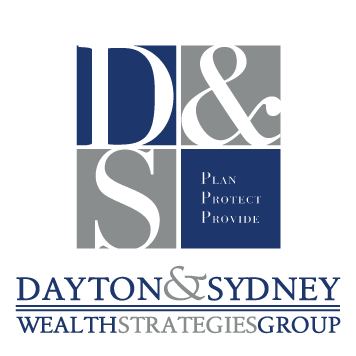 Dayton & Sydney Wealth Strategies Group is a financial advisory company built on a legacy of hard work and customer service. As an elite producer group of AXA Advisors, we use a solid, innovative and long-term approach to help you accomplish your biggest dreams. Whether you’re planning to travel the world or simply kick back and enjoy the fruits of your labor, there is one thing that’s going to make it all possible: a solid plan. 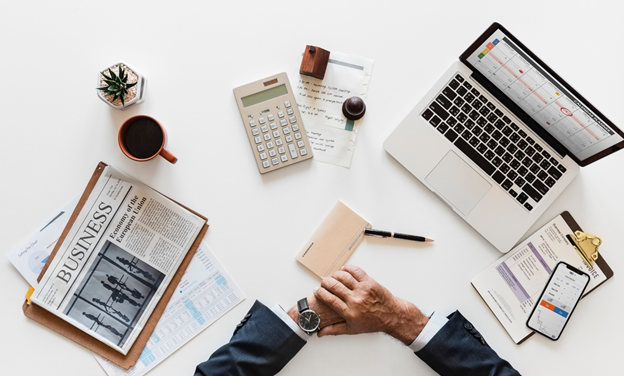 If strategizing your future finances is not your idea of a good time, this guide will help you lay out a plan that will help you retire comfortably and securely. 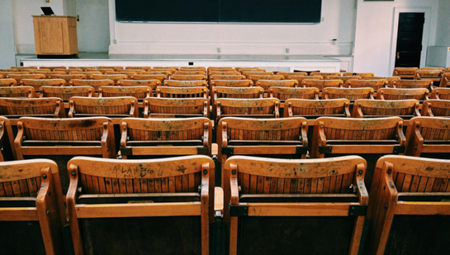 Tuition Costs Are Changing, Are You Prepared? Ready to find the perfect advisor? Securities offered through AXA Advisors, LLC (NY, NY 212-314-4600), member FINRA/SIPC. Investment advisory products and services offered through AXA Advisors, LLC, an investment advisor registered with the SEC. Annuity and insurance products through AXA Network, LLC. AXA Network, LLC does business in California as AXA Network Insurance Agency of California, LLC and, in Utah, AXA Network Insurance Agency of Utah, LLC. AXA Advisors and its affiliates do not provide tax or legal advice. Individuals may transact business, which includes offering products and services and/or responding to inquiries, only in state(s) in which they are properly registered and/or licensed. The information in this website is not investment or securities advice and does not constitute an offer. Dayton and Sydney Wealth Strategies Group, LLC is not a registered investment advisor, and is not owned or operated by AXA Advisors or its affiliates.